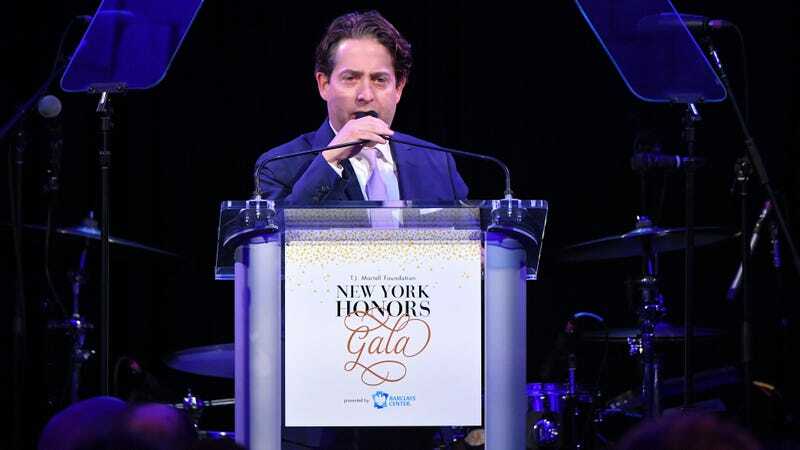 After several women came forward to accuse Republic Records president Charlie Walk of sexual misconduct and harassment, the record label—whose artists include Ariande Grande, Demi Lovato, Lorde, and The Weeknd—has “mutually agreed to part ways” with Walk. As reported by the New York Times, Republic released a statement Wednesday night announcing Walk’s departure. In January, Tristan Coopersmith, who worked under Walk at Columbia Records from 2004 to 2005, wrote an open letter alleging the longtime record executive had made “lewd comments” to her about her body; touched her inappropriately, and, in one instance, “cornered [her] and pushed [her] into [his] bedroom and onto [his] bed.” Coopersmith later alleged that she received “dozens of messages” from women who had similarly experienced harassment from Walk, and in February at least five more women told Rolling Stone Walk had harassed them, sent them unsolicited lewd photos, and/or inappropriately touched them. “It’s really scary to talk about this stuff, especially if you’re still in the industry,” she said.